Las Vegas is the place to gamble, just not when it comes to your residential or commercial move. Organizing a comprehensive and accommodating move starts with hiring trusted relocation specialists with considerable industry experience. Since 1914, Coleman Worldwide Moving has built a reputation for providing the keen attention to detail and customer care of a neighborhood mover with the equipment and networking resources of a nationwide moving giant. As a BBB-accredited Allied Van Lines agent that has earned ProMover designation through the American Moving & Storage Association (AMSA), there’s truly no better hands to place your most valued possessions in than those of our expert Las Vegas movers. If you long for a hands-free moving experience from a professional crew that prioritizes service quality and customer-focused service above all else, make us your first call. When it comes to residential moving, the task is always more layered and complex than you think when you’re simply scanning your home, taking mental inventory of what your move will entail. Household moving can be a potentially expensive and time-consuming endeavor, so it’s important to have a firm understanding of what your investments and responsibilities will be. To help with this, we begin each move with a face-to-face consultation with the homeowner, take thorough stock of your specialized relocation needs, and custom-craft a moving plan that can include anything from the most basic relocation tasks to a full-service residential move package. Las Vegas is a city that promotes play over work, but the wheels of industry turn no matter where you live. To help your company or office continue running smoothly, Coleman Allied offers relocation services for businesses of any size, as well as for any additional employee relocations that need to be coordinated in tandem. How we do this is by assigning each customer a dedicated move coordinator, so the unique nuances and needs of your move are not lost amongst the shuffle of multiple jobs and clients. Our Las Vegas movers also offer individual employee relocations, both as a stand-alone service and as a component of a larger office move. Whether your destination is just down the street or across town, our Las Vegas local movers will treat your possessions with the same care and attentiveness as they would items being hauled across the country or overseas. We also offer short and long-term storage services, so you’ll never have to worry about discarding treasured keepsakes because of a lack of space. Even better, our local relocation and storage options are incredibly cost-effective—giving you added flexibility when it comes to your item management. Being an Allied Van Lines agent is certainly a point of pride for our crews, but it represents more than a selling point. We see it as a promise to you—that your relocation, no matter how complex, will be thoroughly organized and communicated to any partnering affiliates receiving you and your items at your destination. 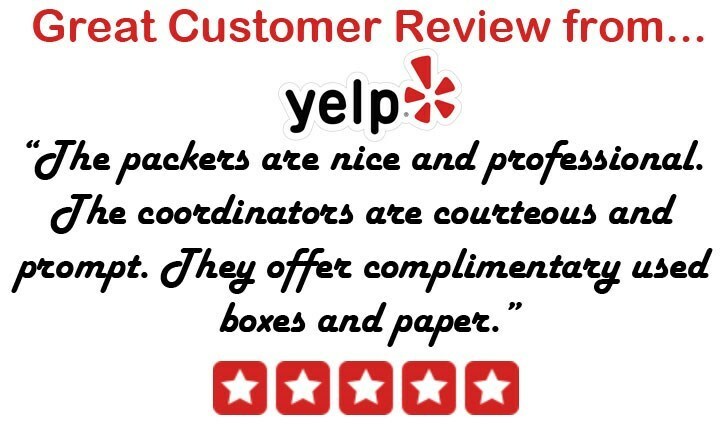 You’ll also enjoy peace of mind knowing that our Las Vegas long-distance movers have an array of tracking and communication tools to keep tabs on every stage of your relocation—regardless of where you move within the United States. To learn more about the wide selection of relocation services provided by our movers in Las Vegas, or to speak with one of our knowledgeable specialists about your upcoming move, contact Coleman Allied today! Give us a call or fill out our online contact form to receive a free, no-obligation estimate.